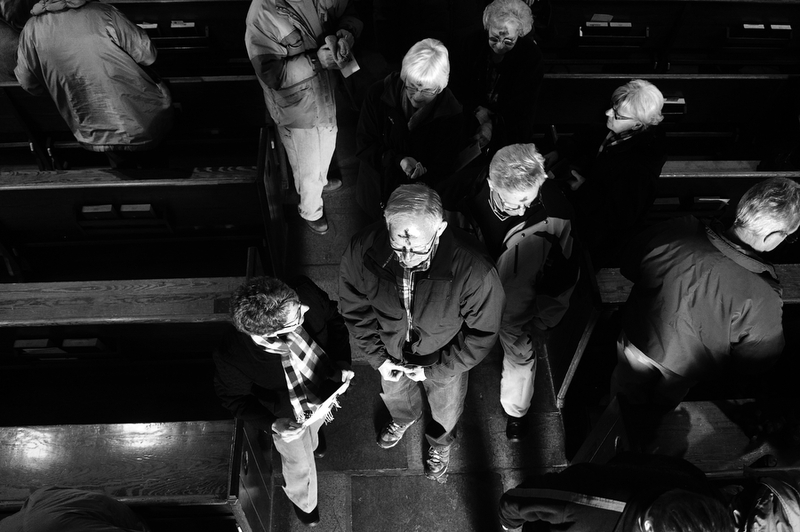 Congregants leave the church after Ash Wednesday service on Wednesday, March 5, 2014, at St. John the Evangelist in Waynesboro. Ash Wednesday signifies the beginning of the Lenten season, the 40 days of reflection that lead up to Easter Sunday. Congregants walk back to their seats after receiving communion during Ash Wednesday service on Wednesday, March 5, 2014, at St. John the Evangelist in Waynesboro. Ash Wednesday signifies the beginning of the Lenten season, the 40 days of reflection that lead up to Easter Sunday. Ash Wednesday is one of my favorite celebrations in the Catholic Church. I've always really liked Lent — I think it's a great period of reflection and Ash Wednesday is the start of all that. "Remember you are dust and to dust you shall return." Fr. Rolo Castillo places ashes on a congregant's forehead during Ash Wednesday service on Wednesday, March 5, 2014, at St. John the Evangelist in Waynesboro. Ash Wednesday signifies the beginning of the Lenten season, the 40 days of reflection that lead up to Easter Sunday.